Botanical pest control – an alternative to minimise residue toxicity in Darjeeling tea. 1994. Plant Protection & Human Health Conference. March 2, Darjeeling. Environmental effects on photosynthesis in tea (Camellia sinensis L.). 1995. International symp. Control of Photosynthesis in Tree Species. 27-29 August, INRA, Bordeaux, France. Common diseases of tea in Darjeeling hills & their management. 1997. Natl. Symp. Disease Economically Important Plants of eastern India and their Management. North Bengal University, Feb. 6, Siliguri, India. Residues and persistence of some insecticides in Darjeeling tea. 1999. Symposium on Darjeeling Tea. April 12, Darjeeling, India. Plucking cycle in relation to quality of Darjeeling teas. 2000. Intl. Conf. Plantation Crops Research and Development in the New Millennium (PLACROSYM XIV), 12-15 Dec., Hyderabad, India. Biocontrol of insects, diseases, and weed pests in tea plantation. 2004. 15th International Plant Protection Congress. May 11-16, Beijing, China. Organic Cultivation, Marketing and Trade. 2003. State Level Seminar, Govt. of Nagaland, Dept. Agric., 4 -5 Oct. Kohima. Influence of environmental variables on gas & exchange and productivity of tea. 2004. International Conf. 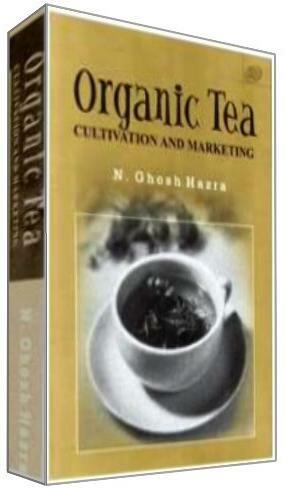 on O-Cha (tea) Culture and Science. Nov. 4-6, Shizuoka, Japan. Organic tea growing in India: A case study in Darjeeling hills. 2005. National Workshop on Vision & Strategies for Tea Development in Hilly States. May 28-30, Uttaranchal Tea Development Board, Almora. Tea and Health: Science behind the Myths.